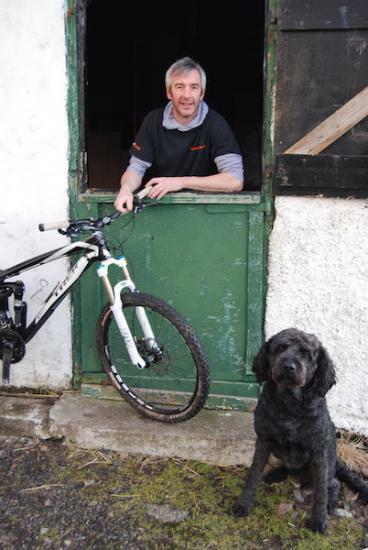 Simon Wilkinson has taken his experience and skills north to Sutherland and the move could not have come at better time with the North Coast 500 attracting a growing number of cyclists. Siomn said,"I've been a bike mechanic for 28 years running the family business. Pedal Power originated in Clitheroe, Lancashire where my mother and father started up Pedal Power Clitheroe in 1981. I have since become director and have now moved the business from Clitheroe to Armadale in the Highlands. With over 35 years in the cycling industry we have all the experience necessary to ensure your time here is a wonderful one. "We offer road bike and mountain bike hire for all the family and have bikes to suit beginner to expert. If you are visiting the area with your own bike or are on the John o' Groats or any other long distance route let us give your bike the attention it needs to ensure it performs faultlessly throughout your stay." "If you do run into problems, don't worry, our mobile mechanic service will come to your rescue wherever you are and help you get back to enjoying your holiday as quickly as possible." On the web site you will find lots of useful local information. Explore the routes section and choose some adventures, if you require support or advice on any of these routes we can help you. Check the news and events section for cycling related information including local clubs and rides.